My telescope that I have is actually a Celestron so I was pretty excited to try this one out. At a little under 200 bucks it is pretty pricy. But I have a couple of Celestron products and they are all high quality so I was willing to look at this with an open mind. First of all it has a really classy and elegant look. 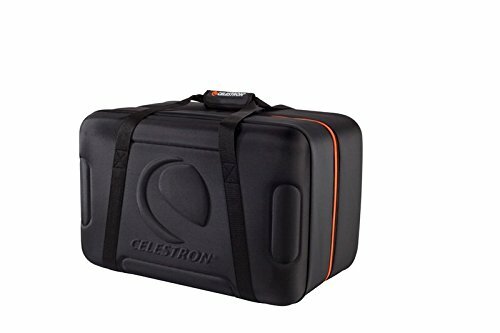 I love the Celestron logo that is on the front and if you have a Celestron telescope or know about them then you will no doubt get a kick out of this like I did. With a handy carrying strap this really is a very nice and easy carrying case to move from place to place. This telescope case is EVA molded. I will be honest I have no clue what this means, but what I can tell you is that the case is strong like a rock, but it is also flexible and has a lot of give to it. I have no doubt at all you could put something heavy on top of this (not that I am saying you should do this of course) and it would be fine. If you were to drop this when getting it out of your car I honestly thing that anything you have inside would be fine also. Speaking of inside. This carrying case is awesome. It has a few different areas, but the one where you are supposed to keep your telescope has different straps so you can pretty much fit any kind of telescope in here. I managed to get mine in here really snugly and I was perfectly happy with how secure it was. With a space for your extra lenses, batteries and anything else you may need. I can honestly say that this carrying case is the perfect size. Honestly cannot really think of anther one! I was also given the Nanuk 915 Waterproof Hard Case with Foam Insert to check out and first thing that I noticed was how this looks more like some kind of builders dinner box than a telescope box. The one I got was yellow, but this can be purchased in a variety of colors. The going rate for this is right around 100 bucks so it is the middle telescope case out of these three when it comes to pricing. I really do not think that the main focus for this carrying case was just telescopes. It seems like it is more a “jack of all trades” as it would actually work for other kinds of things like a camera for example Still, despite the rather odd design. I must say I think that the rather, industrial look of it does give it a strong and sturdy look. One thing I do like as far as the design goes is the big and thick clips that close the case. There is no way that these will open by accident. Ok so it looks ok, but what about the functionality? Well my Celestron did fit, but it was not as snug as the other two cases. The outside is made with very strong materials, but on the inside is some high quality foam that has precut holes on the bottom and egg shell style foam on the top. This is a good combination and on the bottom there are spaces for six different things. This is fine, but I do think that you may not want to risk putting back up lenses in here as some of the spaces are not really tight enough to keep them in place. But to be fair this may be a problem that I had because of the lenses, scope and other stuff I have. In all the materials that this is made of are very tough and long lasting, my only concern is how snugly your telescope and other items will be once inside of here. 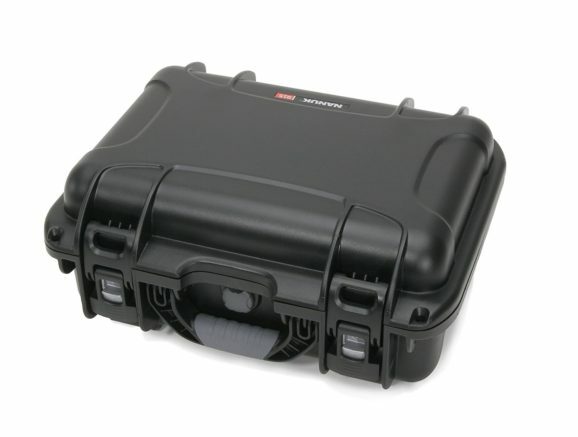 Next up we have the Orion Medium Deluxe Accessory Case. This like the Celestron is made for telescopes so major cool points for that. Also something that caught my interest was the way that this can be purchased for under fifty bucks! 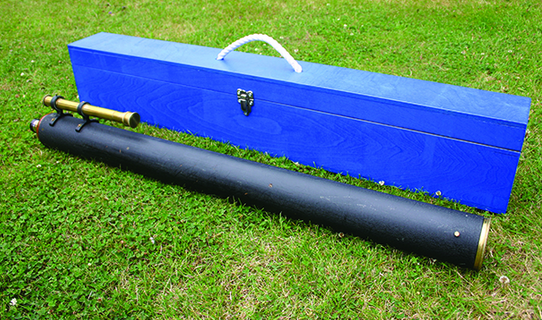 So if you want a telescope case that does not cost a fortune this one is sure to interest you. From a looks point of view this is pretty nice. It has more of a James Bond style briefcase look to it than the other ones on this list, but I actually really like that. It closes with this strong hinges that will not open by accident so you have no worries about this popping open in the back of the car when you drive over a pothole. Inside the carrying case is egg crate style foam top. This is great for protecting things from up above and I also think it looks pretty cool too! The bottom of the carrying case has a slab of foam with precut holes. These holes are made so that most telescopes, lenses and maybe even a scope can fit in. My Celestron fit in pretty easily and even slightly larger ones with a little bit of pushing will be able to fit in here. I actually really liked how snug the fit was and never once felt like my telescope could move around once it was put inside. In all this was a carrying case that really did impress me and even more so when I thought about the very fair asking price. I just wanted to give you a few things to think about when it comes to buying a telescope protection case. Looking out for these things may save you a few headaches! Price: Just because something costs a couple hundred bucks does not automatically make it the best. Always be sure to do a little shopping around to make sure you are making your money go as far as possible. Size: Some telescope carrying cases do have adjustable insides so that they can cater to pretty much any telescope. But some that use foam will have precut holes. Make sure you read about what size of telescope, finding scopes and other accessories they can fit before you buy. You do not want to buy one and then find out your telescope does not fit properly. 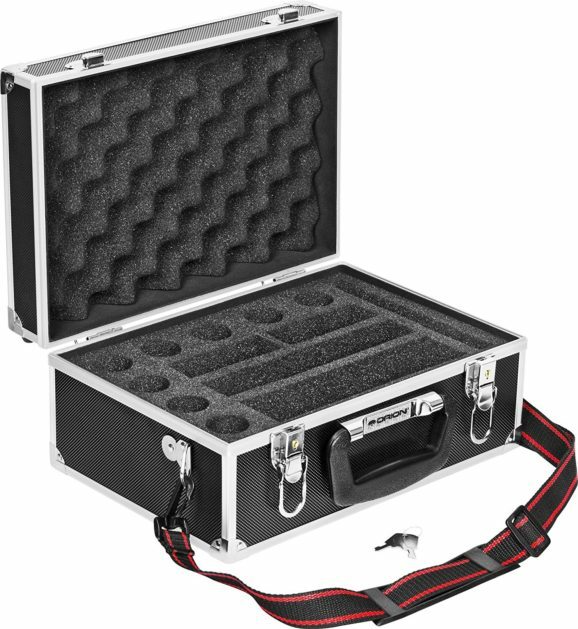 Reviews: Ok so I have done three mini reviews just up above, but it is always good to read as many reviews about a telescope case as possible before you buy. Especially pay attention to reviews that were written by amateur astronomers like yourself. So What Is The Best Carrying Case? If I got to pick anyone of these to keep forever and money was no object then without a doubt it would be the Celestron carrying case. It looks awesome, is an official licensed product and best of all it can handle pretty much any kind of telescope. But at around 200 bucks it is a lot of money. I know some people who did not even spend that on their first telescope! So I have a hard time suggesting you run out there and drop that kind of money on a telescope carrying case. But if money is not an issue then by all means go for it. To be honest with you the Orion was the one that impressed me the most. It may have a rather basic look, but the layout inside of the case will fit most of the telescopes that are on the market right now and it offers an immense amount of protection. If I had to buy one with my own money right now then it would be the Orion at under fifty bucks you really do get a lot for your money.